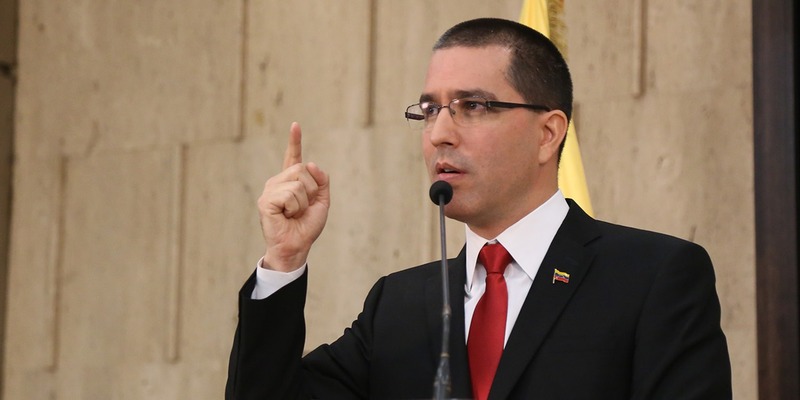 The Foreign Minister of the Bolivarian Republic of Venezuela, Jorge Arreaza, strongly rejected the statement of the Secretary of State of the United States, Mike Pompeo, regarding the flight of two Supersonic strategic bombers Tu-160 from the Russian Federation to the South American country. “The reaction of @SecPompeo against military cooperation between Russia and Venezuela, is not only disrespectful, it is cynical: the US has at least 800 military bases (known) in 70 countries. Today 75 of the 107 US programs for security cooperation operate in Latin America”, said the Venezuelan diplomat through his Twitter account @jaarreaza. In the same vein, the People’s Power Minister for Foreign Relations described as “unusual” the fact that the US government questioned the sovereign right of Venezuela for the cooperation in defense and security with other countries of the world, when the same president Donald Trump threatened a military intervention to the Bolivarian Republic. “If they want to cooperate, lift their sanctions against Venezuela. If the US is so worried about waste, review its immense and unjustifiable military budget for more than $ 674 billion by 2019. Surely the 50 million poor peoples and families without access to public health in the US can suggest a fairer destinations for those funds”, added FM Arreaza. On Monday, two Tupolev Tu-160 strategic bombers, a heavy military transport aircraft Antónov An-124 and an Ilyushin Il-62, a passenger aircraft of the Russian Aerospace Force landed at the Maiquetía International Airport, on the eve of the operational combined flights between Venezuela and Russia. In this regard, the US Secretary of State suggested that “the Russians and Venezuelans should see this for what it is: two corrupt governments squandering public funds, and overthrowing freedom while their people suffer”. The Russian government also repudiated the statements made by the US official as “undiplomatic” and “quite serious” against the authorities of the Eurasian country.